Pantone has announced their latest colour of the year, and the shade of 2018 is vibrant Ultra Violet. 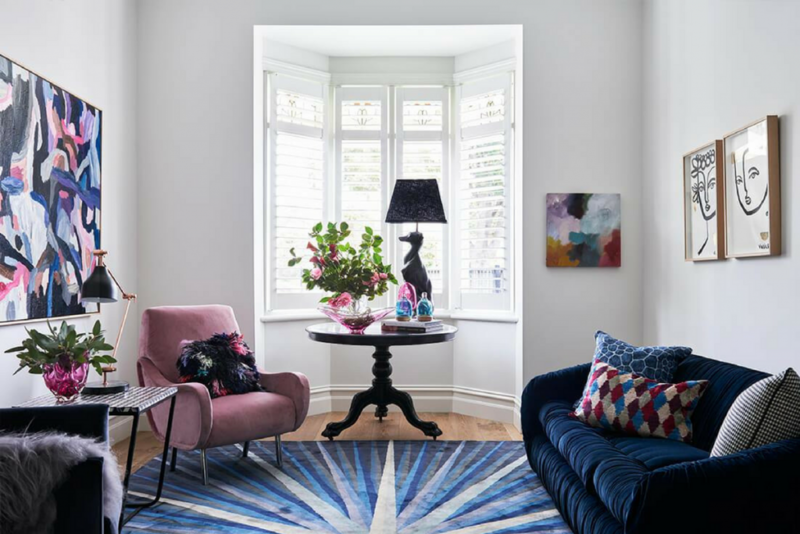 This moody colour is set to dominate interiors styling in the year ahead, and pairs perfectly with the Regency Glam trend that is making a serious comeback in 2018. Purple is a fantastic shade for those looking to style for sale. Appealing to those with a more masculine or feminine style, this shade is neither too warm or cool and has a history steeped in royal tradition. Historically, designers have used purple to signify luxury, indulgence and wealth. Unsure how to inject Ultra Violet into your styling choices this year? Read on to hear our top tips for incorporating Pantone’s colour of the year into your own interiors scheme in 2018. These glittery minerals make amazing decorative tools and are easily found in shades of purple and violet. 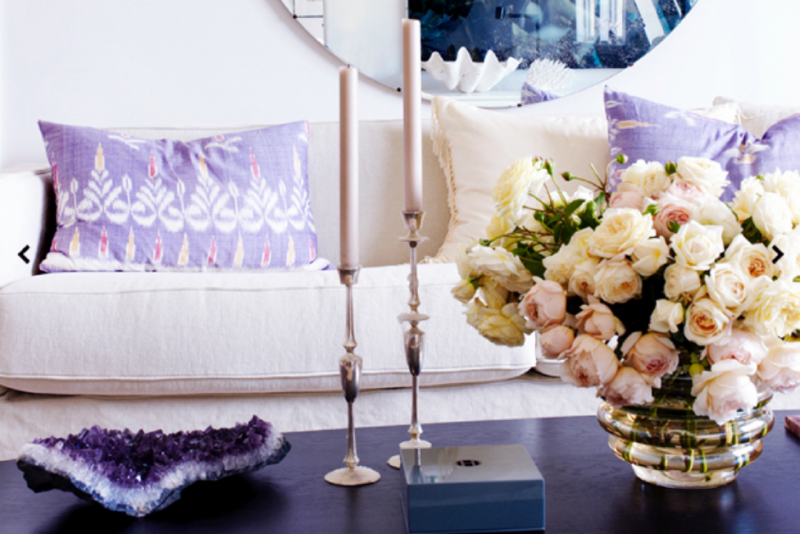 We recommend selecting amethyst crystals as the perfect Ultra Violet addition to your home. Place in well-lit areas to catch light and brighten all corners of your space. Crystals are beautiful touches to add to sideboards, on coffee tables or scattered across bookshelves. We predict 2018 will be a big year for crystals and choosing the colour purple is sure to keep your interiors on trend for the year ahead. Brighten up your home will the addition of flowers in vibrant violet shades. 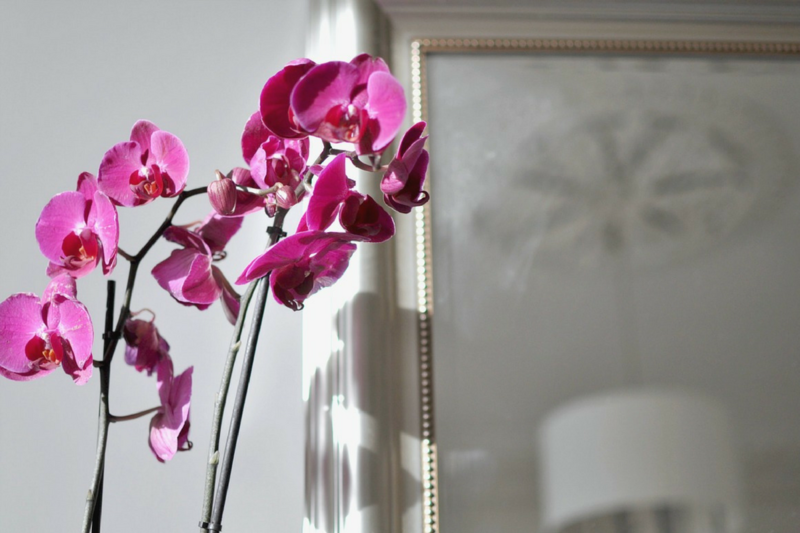 Stunning orchids in deep purple tones make a wonderful addition to your entry console and coffee tables. The delicate petals of orchids help to soften the richness of this deep purple shade. Plus, floral arrangements can be changed easily as new seasonal trends come and go. 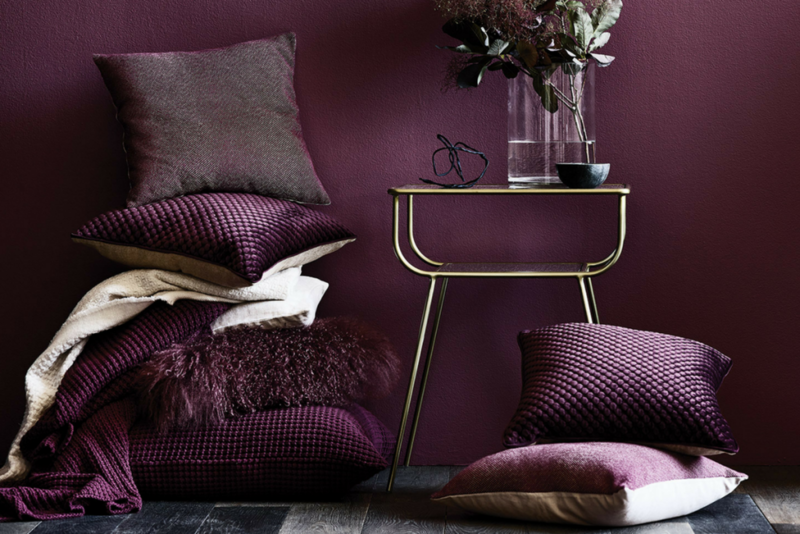 Another simple way to incorporate Pantone’s colour of the year is throughout your soft furnishings and accessories. Items such as pillowcases can be changed at a moment’s notice, and are can be found at a range of price points to suit your budget. Bring Ultra Violet into your bedroom with a few scatter cushions and a throw, and try to select an artwork with hints of this on-trend shade. Create a stylish and cohesive living space by adding vases, ceramics and art prints in shades of purple and violet. It is a bold move to paint a feature wall, but for those brave enough you will have a dramatic talking point in your home! This rich shade will set the tone for a space of luxury and is sure to make a dramatic impact on the entire space. Go glam and pair with metallic accents and faux fur for truly elegant interiors. Keep the rest of your styling choices simple to avoid overwhelming the room and let this vibrant shade shine in your home!